In view of the rising concern on the overuse of antibiotics, which in turn, results in the body slowly developing antibiotic resistance, Kerala has taken the initiative to tackle the growing menace. The state has introduced a comprehensive policy to fight growing antibiotic resistance through its first antibiotic stewardship programme. Under the programme, public and private health services will be guided trough the adapted policy. More broadly, the programme will comprehensively look into the availability of different antibiotics, while also mapping its usage at various levels of health facilities. It will also impose restrictions on self-medication and irrational prescriptions. At the initial stage, the programme will try to include allopathic doctors and pharmacists, and also seek to change public behaviour through large scale awareness programmes. As a first step forward, the state will be hosting an international symposium on antibiotic stewardship and infection control and prevention to be attended by health secretaries of over 16 states. On January 23, the supreme state health authorities will congregate to discuss the new Kerala model, and how it can be further implemented in different states. Already, a series of consultative workshops under the chairmanship of Kerala health secretary Dr K Ellangovan have been organised in the state, with various doctors’ associations including the Kerala branch of the Indian Medical Association and the Indian Academy of Paediatrics as a part of the initial phase of implementation. 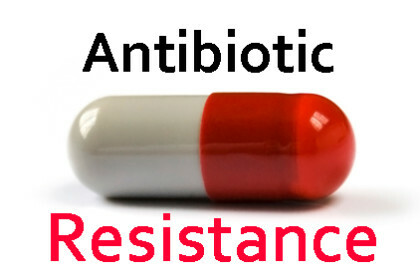 As reported by TOI, “The irrational usage of antibiotics even for mild illnesses, which is actually not needed, ultimately leads to high treatment cost and poor treatment outcome by way of emerging antibiotic resistance,” said Kerala health minister VS Sivakumar while announcing the programme, adding that his government was planning to create a model platform for all other states in the area of irrational antibiotic usage. “The draft of the programme will be prepared out of the several pre-conferences and will be adopted by the government. This will be uploaded on the official website and updated every quarter, and there will be a review at the end of one year. In continuation with the development of state antibiogram, a series of parallel programmes are also planned to ensure behaviour change among patients and doctors in keeping with rational antibiotics usage,” explained Dr Dileep Kumar SR, general manager of Kerala Medical Services Corporation who is a part of the organizing committee. At the next stage, the state intends to examine and tackle the veterinary use of antibiotics and then address the issue of non-allopathic practitioners like ayurvedic and homeopathic doctors prescribing antibiotics.